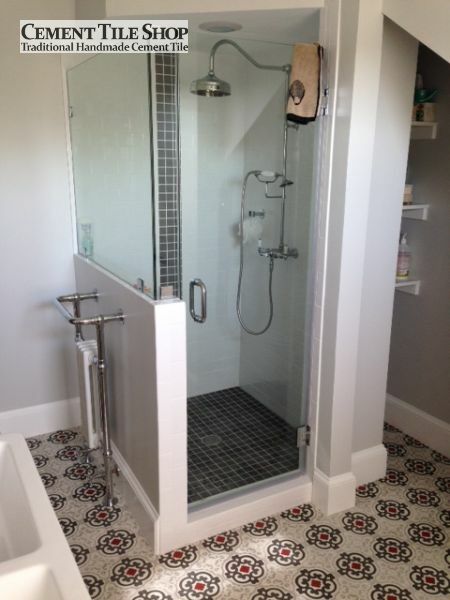 We were thrilled to receive some gorgeous installation pictures of our handmade cement tile from a remodel in Washington DC. 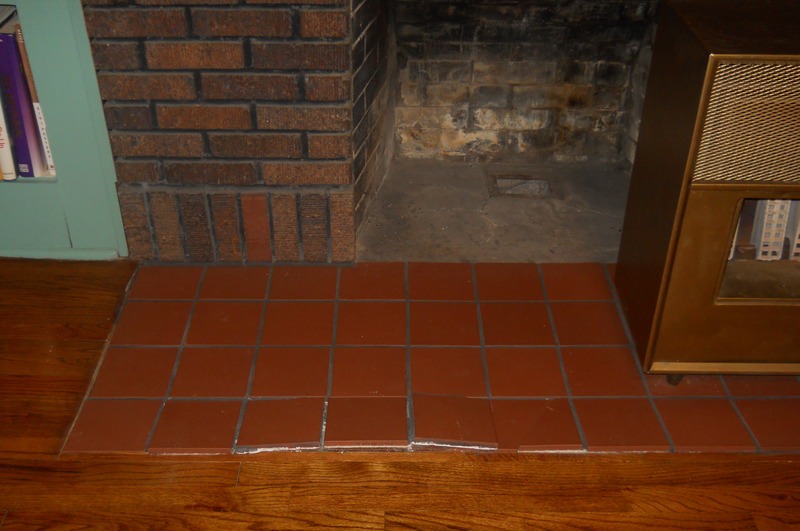 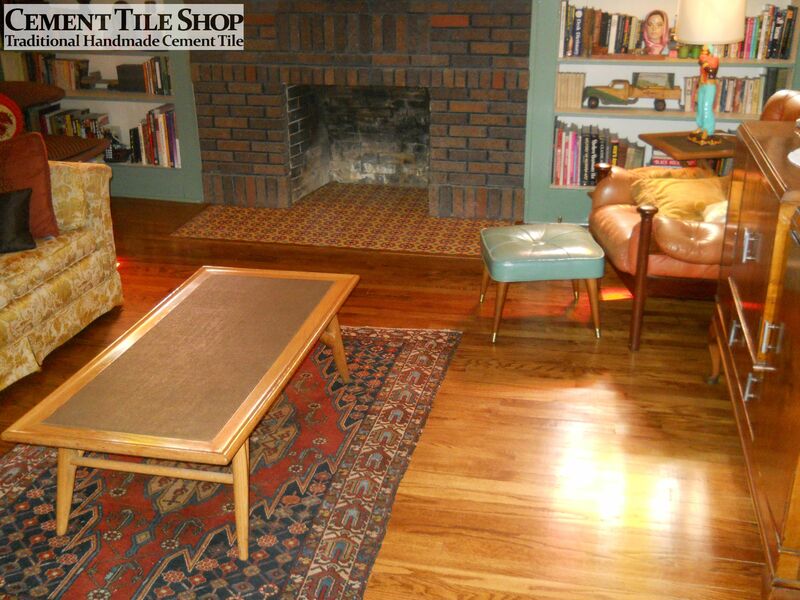 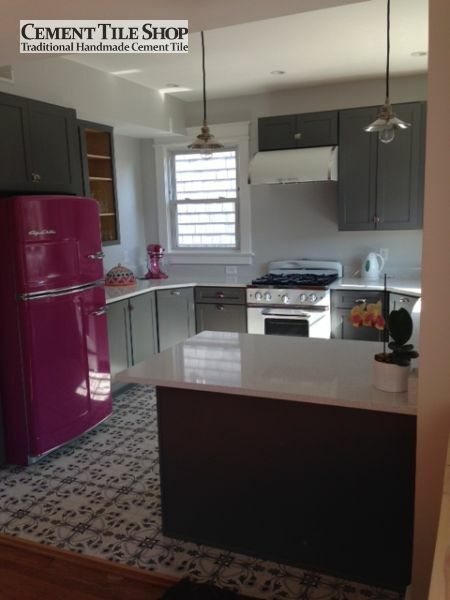 The owner is thrilled with the new cement tile floors and loves the character they have given to the home. 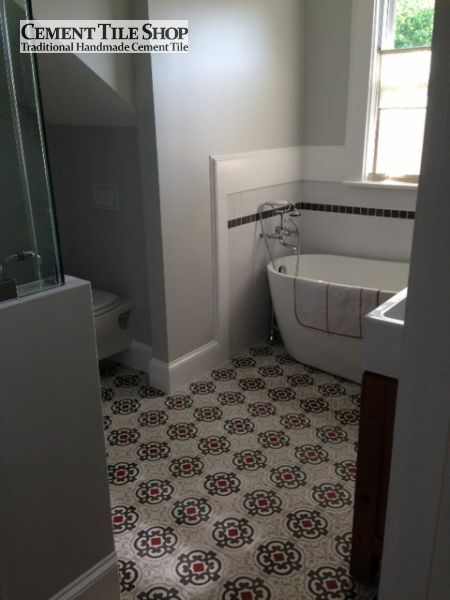 Our Geneva Red cement tile pattern was used in the master bathroom and looks great with the free standing tub. 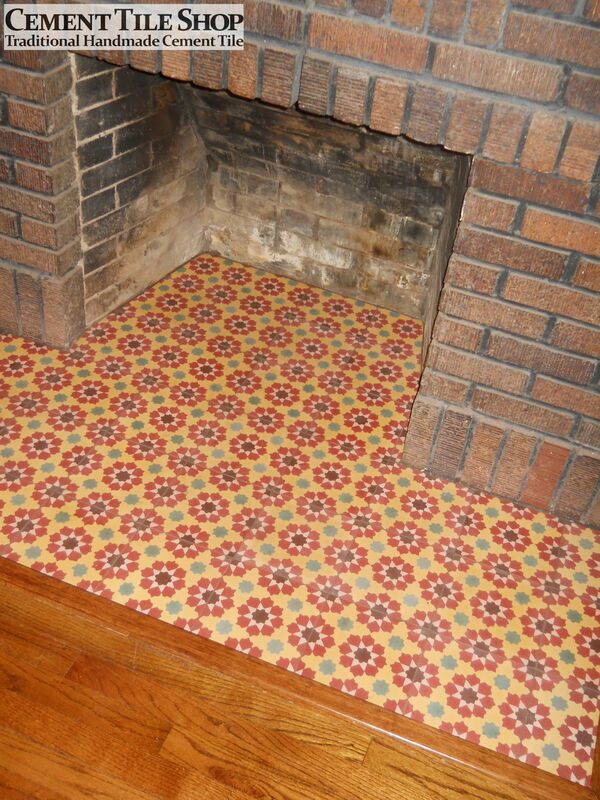 Geneva Red is an in-stock pattern and is available to ship out immediately. 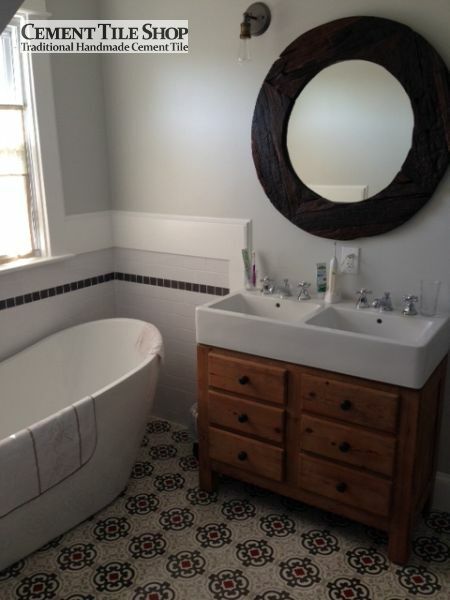 This classic pattern really stands out and becomes a focal point against the neutral walls and white fixtures. 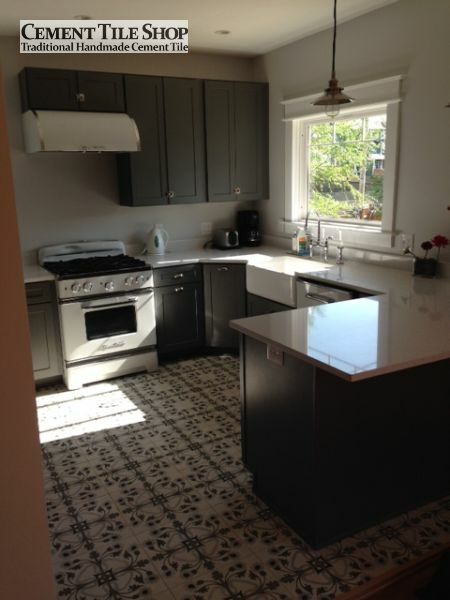 Our Clavel pattern in black, white and gray gives a whimsical touch to the kitchen and coordinates nicely with the dark cabinets. 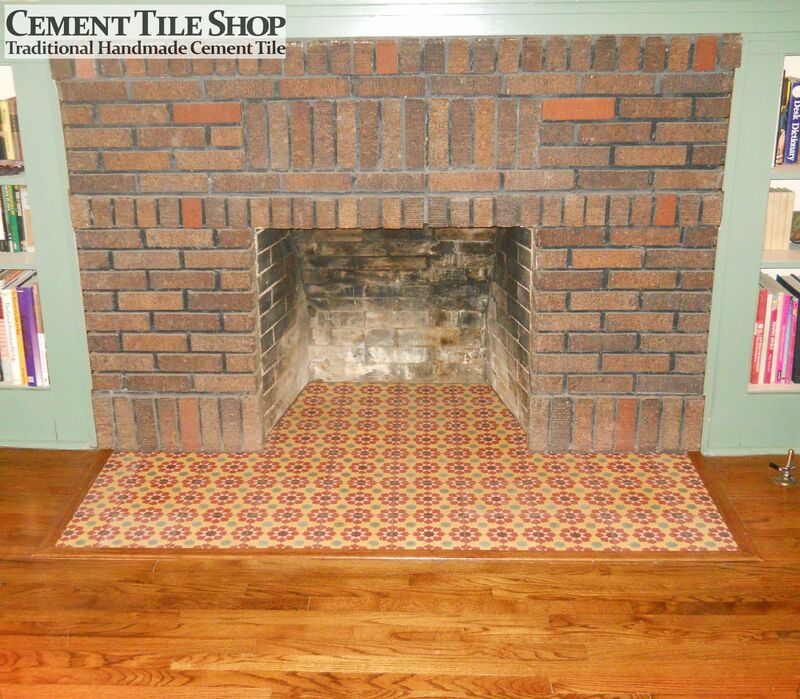 Contact Cement Tile Shop at (800) 704-2701 for information about adding our beautiful handmade cement tiles to your home!